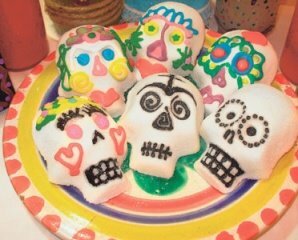 Let's kick off the beginning October with a great DIY for Edible Sugar Skulls from Dollar Store Crafts. 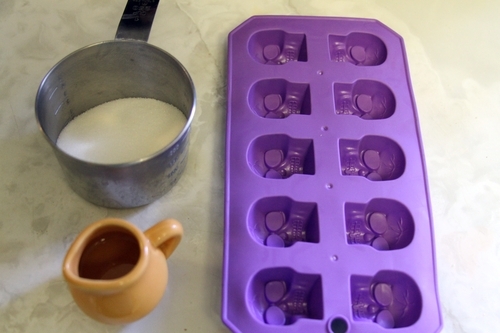 We are hoping that we can find this ice cube skull tray at the Dollar Tree or perhaps, Target! Head to Dollar Store Craft's blog for a video tutorial on this one as well! 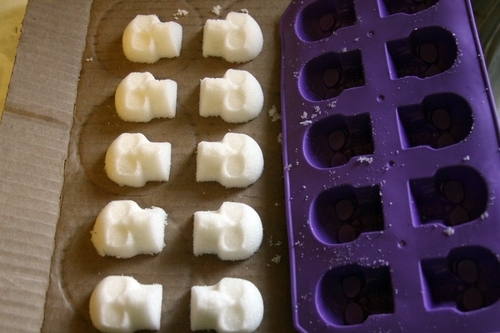 Making edible skulls is cheap, and so easy even a preschooler can do it. 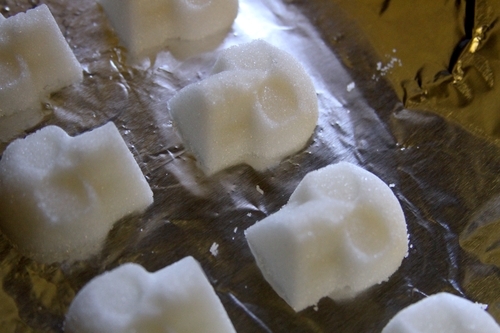 I made a batch of them, and after I was done, my 4 year-old used leftover sugar mixture to make a skull all by himself with no help from me. 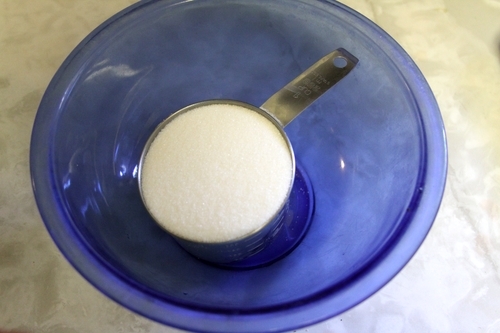 Put 1 cup of granulated white sugar in a mixing bowl. 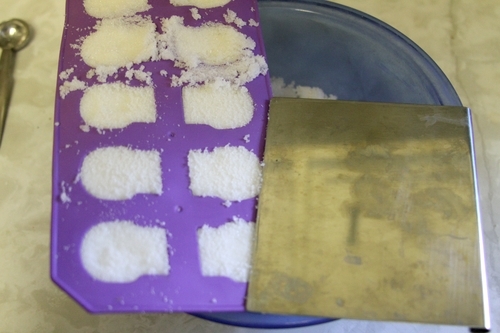 Make an indentation in the middle of the sugar and add 2 teaspoons (yes, the itty bitty ones!) of water to it. 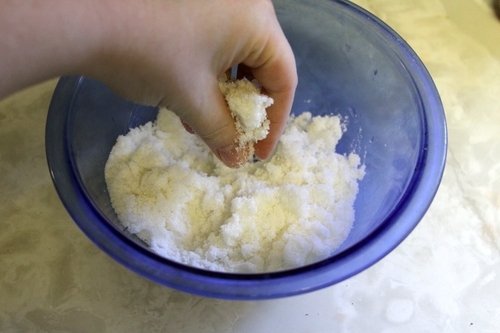 Squish the mixture with your fingers for about one minute until completely incorporated. 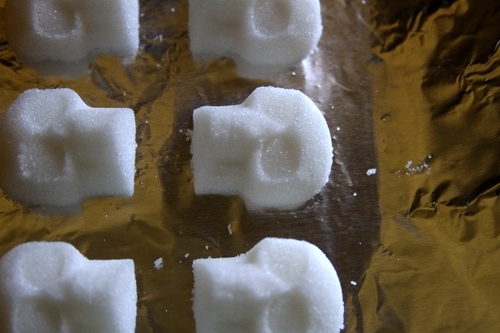 Make sure there are no lumps of dry sugar. When it's mixed, it should feel like wet sand. Let the skulls dry 5 hours or overnight, or put them in a 200° F oven for 5-10 minutes to help them dry more quickly. When they're dry, you can decorate them.